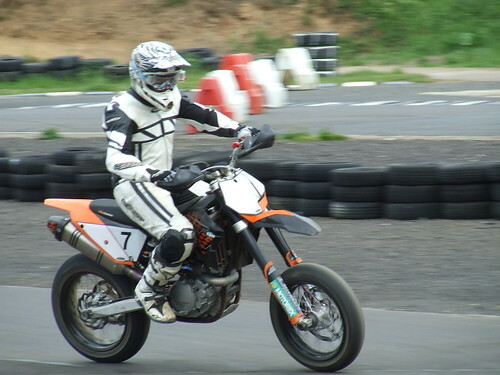 Popped along to see one of the EDAM members racing a DRZ at the Scottish Supermoto place in Crail. Got there a bit late, and the batteries ran out in the big camera, but there are one or two pics in there that turned out really well. There are also a few snaps, some photos of empty track when the bikes were moving past too quick and others that are out of focus. I was just getting the hang of panning with a longer lense too when the batteries went. Ho hum.